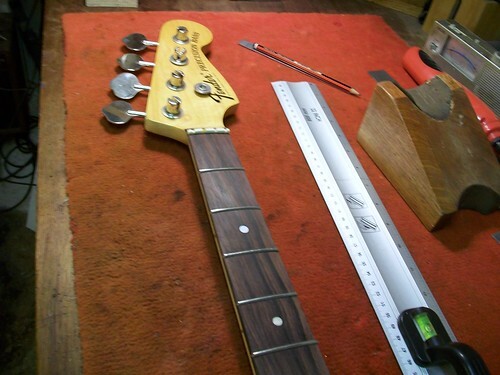 On the workbench is a 1969 Fender Precision Bass with a problematic playing action. 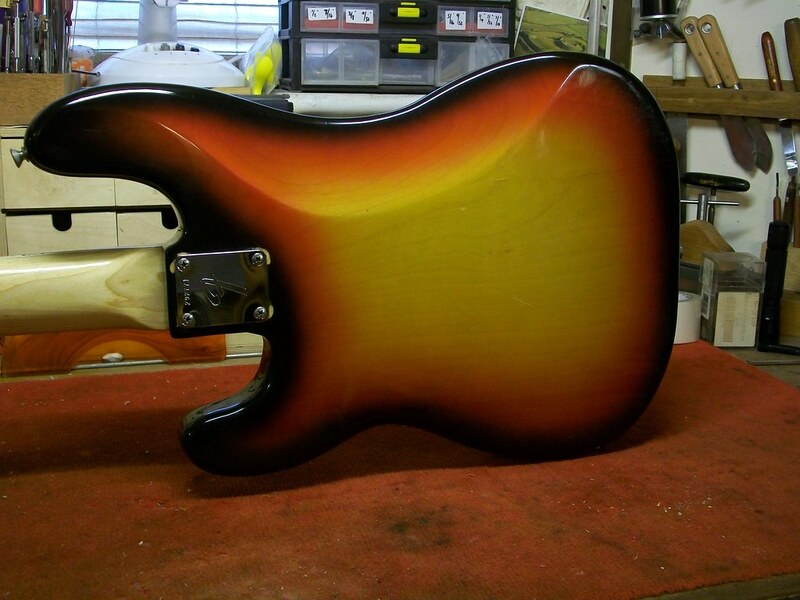 The action is high and the bass is very uncomfortable to play. 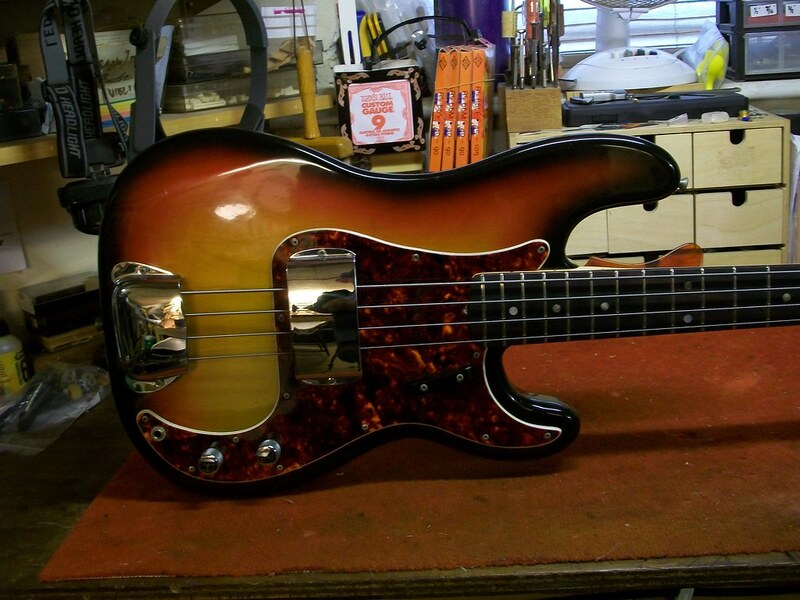 It was bought through a popular online auction and was brought into the workshop for an assessment after the new owner had tried various adjustments but failed to make the bass more playable. 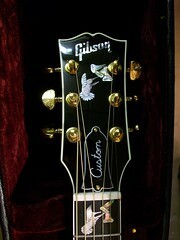 It had spent most of its life in its case inside a closet. 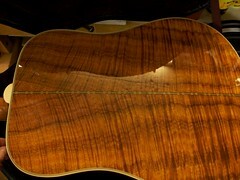 This is confirmed by its amazing condition. 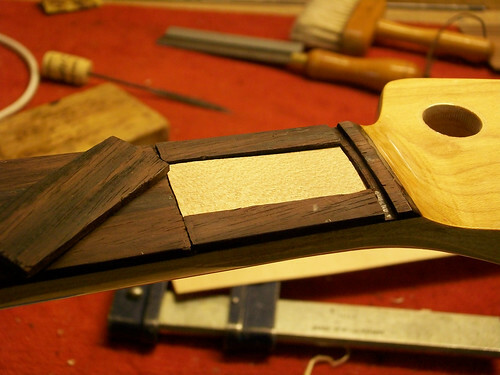 The finish is bright and clean with very little markings or lacquer cracks. 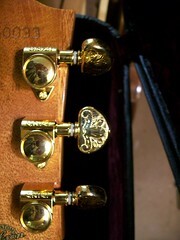 The hardware is all original and unusually the bridge and pickup covers are still present. 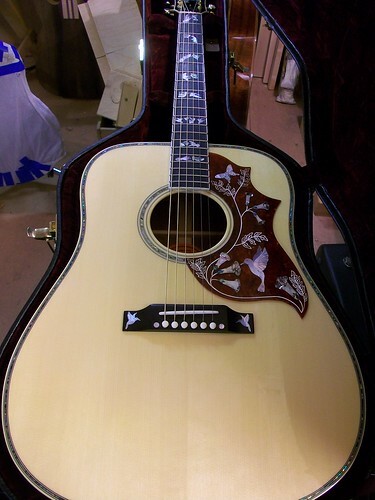 I suspect that it was put away and forgotten about because it is such an effort to play. This would account for its immaculate condition. 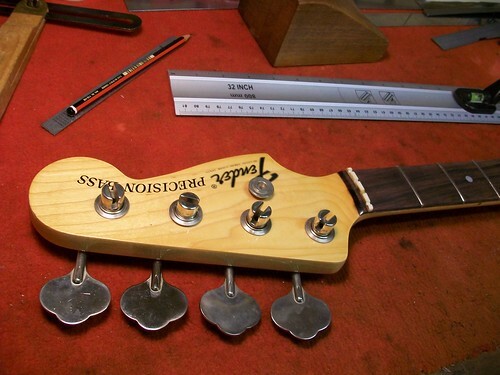 On all early Fender guitars the truss-rod adjuster is at the body end of the neck. 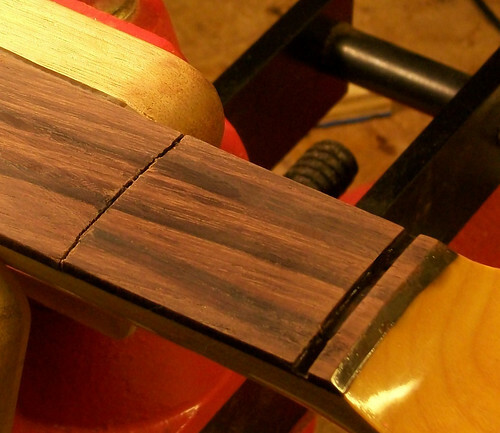 Upon inspection it is apparent that the truss-rod is not working as well as it should. 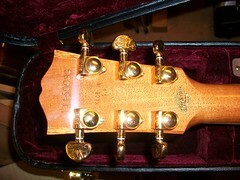 Any adjustment has little effect on the neck. 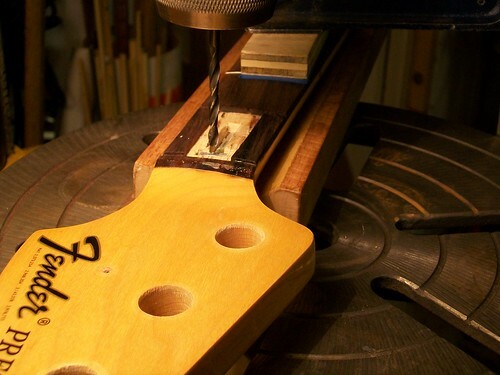 Upon testing the truss-rod, it appears that the adjusting screw reaches its limit before any changes to the neck are effective. 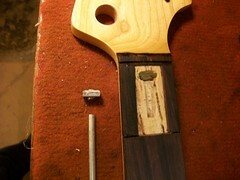 The prognosis is that the truss-rod is either broken internally or that the adjusting nut is ineffectual in some way. 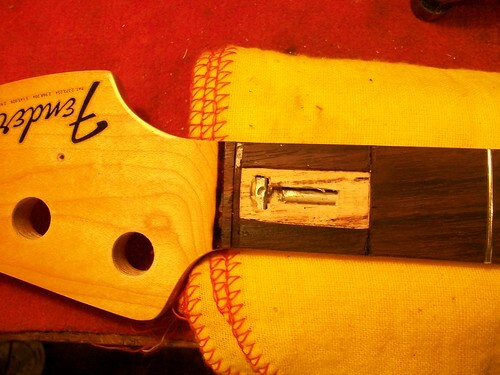 The remedy is to replace the truss-rod. 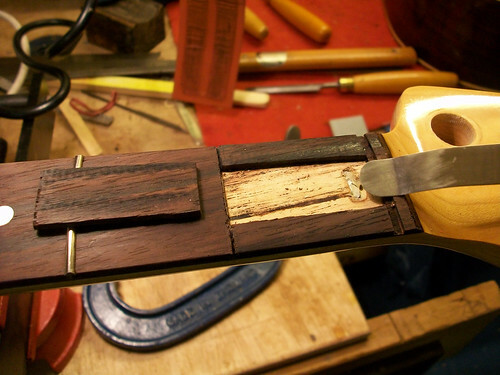 This is a problematic job as this would require the rod to be removed without removing the fingerboard. 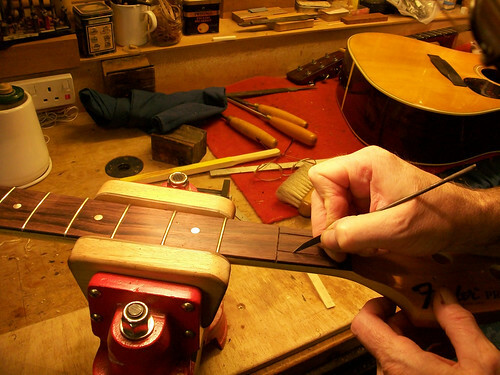 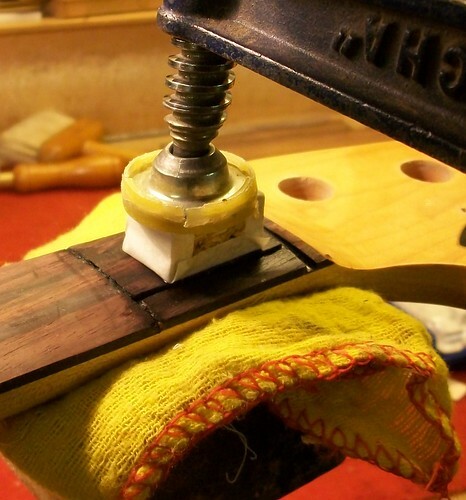 It is not possible to remove a Fender style fingerboard without changing the nature of the neck beyond all recognition. 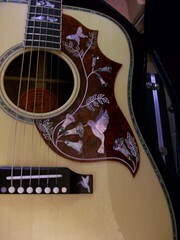 This would detract for its originality and drastically devalue the guitar. 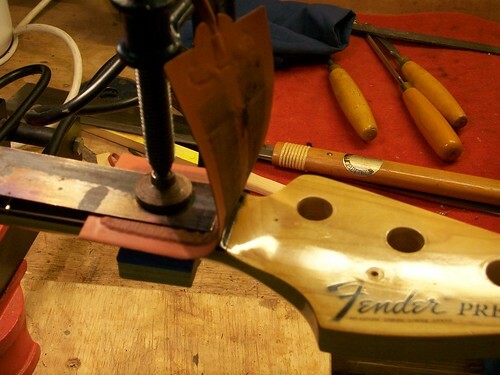 A Fender truss-rod is made from a piece of round section steel with a “T” soldered onto one end (the truss-rod fixed point )and a thread tapped onto the other end to accept the adjusting nut. 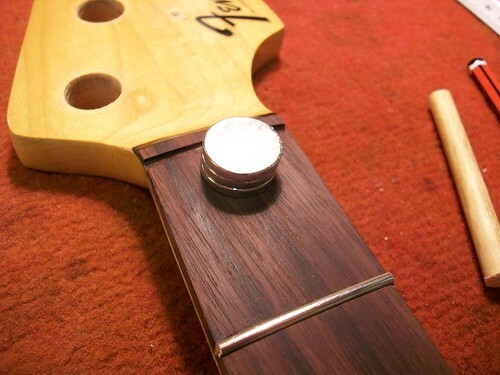 Once fitted into place, and when the nut is tightened, the adjusting nut pushes against a fixed internal washer which is part of the inner channelling that the truss-rod sits into. 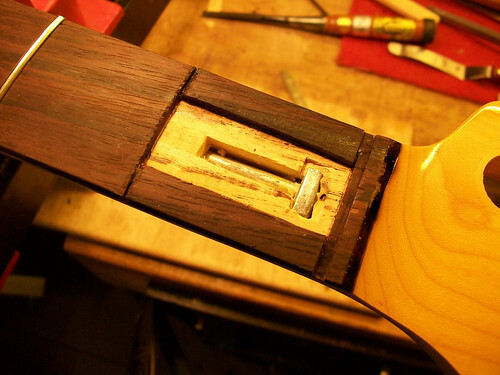 It is decided to create an opening in the fingerboard directly above the truss-rod fixed point and expose the “T”. Once exposed, the “T” can be severed and the rod extracted via the body end on the neck. 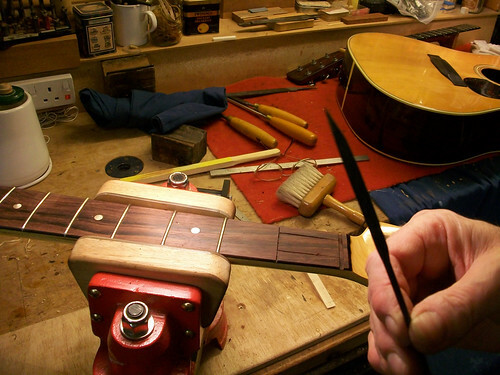 Testing the truss-rod once it has been removed, it is apparent that the adjuster is ineffectual. 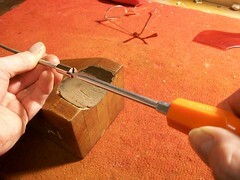 As the adjuster is tightened it has the effect of ejecting the screwdriver (very frustrating). 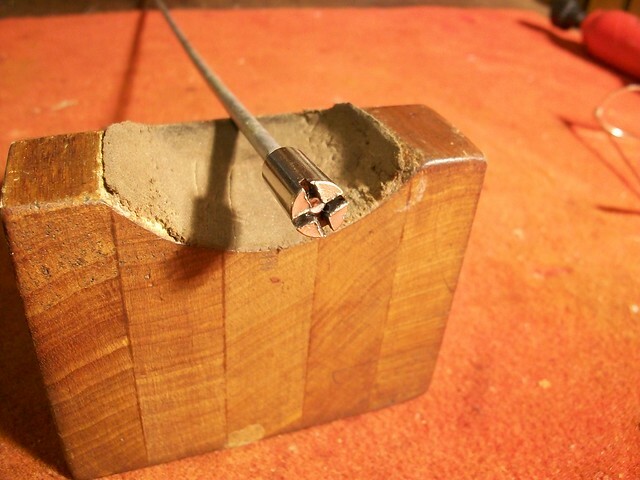 A new rod is made up using a piece of silver steel and a different style of adjuster. 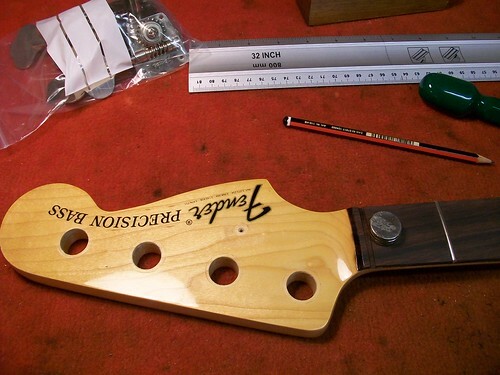 This is inserted into the headstock end of the neck and fixed. 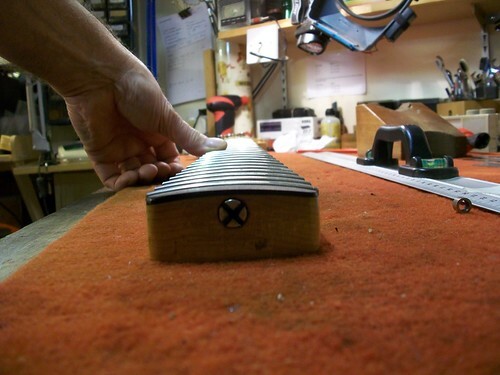 Silver steel is a tougher material and more likely to allow for extra torque that may be needed on final adjustment. 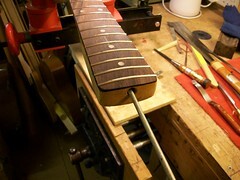 Frets 1 & 2 are replaced and a new bone nut made and fitted. 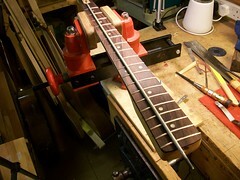 I am pleased to report that the truss-rod works well and has made a vast improvement to the basses playability. The initial cost of a repair such as this is easily justified due to the overall value now put on this fully functional ’69 Fender Precision bass – all original and in excellent condition – in short a splendid bass. 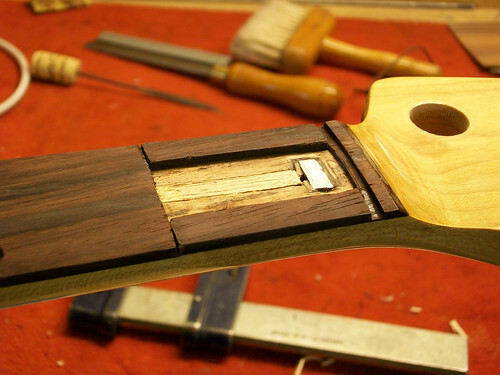 The bass is now permanently out of the closet and enjoying its new lease of life by its new owner. 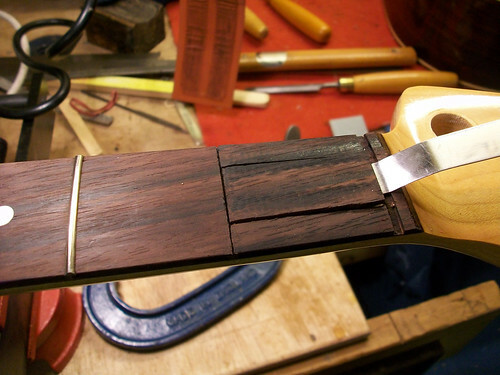 You can view Graham Parker Luthier on YouTube if you wish. 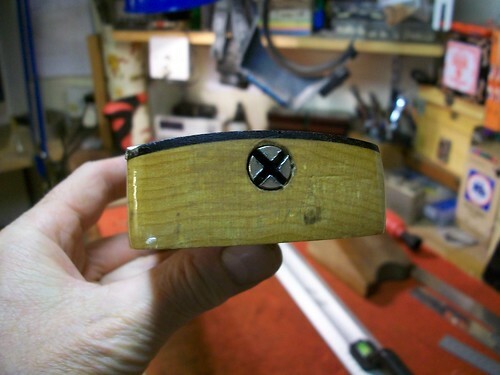 Take a virtual tour of the workshop, watch and listen as you are shown around.